What is “accounting for social issues”? Its definition is not only broad but also ambiguous. Is the term defined by current events like Colin Kaepernick’s kneeling protest against racism, or a community’s organized walk to raise funds for breast cancer awareness? A bake sale for the high school’s color guard? Debit and credit columns on a balance sheet? How do you put dollars on commitment? The term’s breadth is as wide as it is confusing for nonprofit organizations and its members who coordinate these programs. Since contracting out became a trend in public administration over 35 years ago, program directors and nonprofit organizers grappled with this term, in part, because of the variety of citizens who give and their reasons for giving. In Nonprofit Management, author Michael Worth describes the persons involved with social issues and the need for accounting practices. Social issues draw the altruist whose personal desire to give to others drives their passion to return what is given to them. Sometimes, the person’s motives align with the cause, or sometimes it aligns with one’s community. Sometimes, the person needs to complete community service hours to satisfy high school graduation or sentencing requirements (for teenagers, they probably don’t think there is a difference). Maybe, the person is self-interested. They need to donate funds to avoid paying taxes. The volunteer-donor falls into all categories. Whatever the case, agency accounting is essential to the social movement and its most problematic. As the executive director of a social service agency, the altruist—teacher, social worker, counselor—wants to “save the world.” Money is no object. Any reference to a budget to pay for the position or activity often renders this response, “Its/You’re all about the money. It’s not about numbers. You don’t understand.” Similar statements can be made among the community-focused. Persons needing community hours want an accurate assessment of their time while the philanthropist expects their dollars to be spent toward a specific project. Often times, these people forget the point. These desired activities require funding to succeed. The community volunteer may not realize their time leads to in-kind donations that supplement contracts or funds needed to hire someone to perform the same duties. 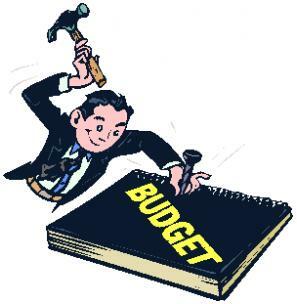 Without strong accounting measures, an agency may appear to be unsound thereby unstable. Offenders are not accurately accounted for their work or a high school student misses the strong mentorship needed to succeed in a real-life job. The donor will not take time to write a check if the organization’s financials are suspect. Social issues and the agencies that advocate for them find accounting for themselves is paramount. It is here where public administration and nonprofit organizations save social issues from themselves and public saliency. Public administration or nonprofit management courses are sometimes perceived as monotonous and entrapped in theory or numbers. I am guilty of such statements. However, as I advanced in my academic studies and applied those experiences in practical situations in the classroom, I found numbers of students, employees, volunteers and donors are passionate, to varying degrees, about their interests. In an ideal world, government and nonprofit agency management would be included in education and social work classes. Our local governments and nonprofit officials would meet citizens where they are—In their community centers, houses of worship, etc.—to not only educate those we serve, but also those who serve us with vital information about the programs and organizations that support us. Those community members with ideas, passion and commitment realized these traits are not tampered, but enhanced, by numbers and balance sheets. Accounting for social issues is neither ambiguous nor broad. Balance sheets are not to be feared. Numbers are nothing more than another way to convey commitment and solvency to those who learn about programs in this way. Just as in any community committed to social justice or women’s health or substance abuse treatment for youth, contracting out by governments to nonprofit agencies that are better capable of filling a community’s needs are permanent. They remain so through strong financial measures that are equal to a person’s, a community’s or an official’s commitment to the social issue.